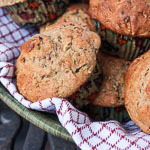 Out of all the muffins we’ve ever made, these morning glory muffins are hands down the family favorite. 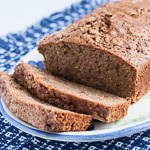 They are so moist and full of good things—whole wheat flour, wheat germ, zucchini, carrots, raisins, walnuts, unsweetened coconut—and the flavor is excellent. Michael and the boys can’t wait to get their hands on them, and I always have to make a double batch so we have some for the boys to take to school the next day. 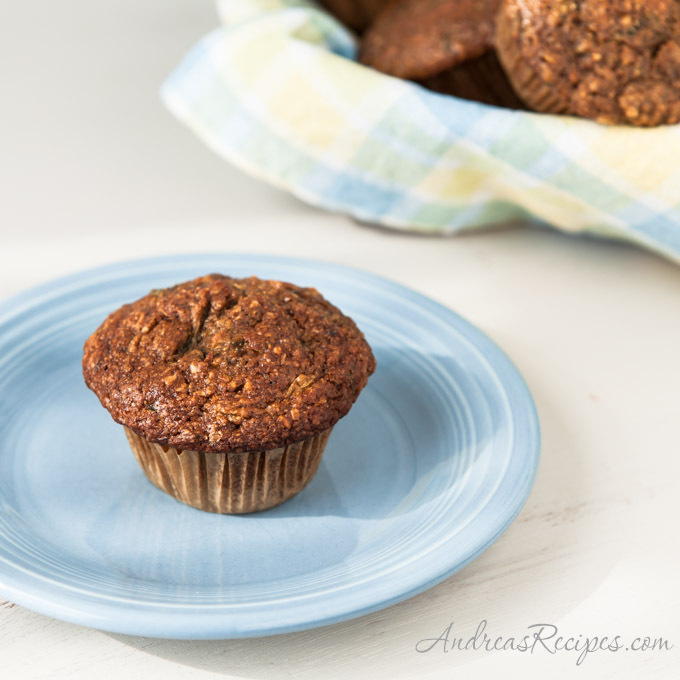 If you want a breakfast muffin that will fill you up and keep you going, this is it. Usually morning glory muffins have grated apple, but I like to use zucchini instead for some extra vegetables, a perfect summer substitute. The muffins keep well for a couple days, just wrap them in plastic and keep in a cool place. Put the raisins in the small bowl and cover with hot water. Set aside until the raisins are soft and plump. In the large mixing bowl, whisk the whole wheat flour, brown sugar, baking soda, ground cinnamon, ginger, and salt. Stir in the carrots, zucchini, coconut, walnuts, and wheat germ. In the medium mixing bowl, whisk together the eggs, oil, orange juice, and vanilla extract. Make a well in the dry ingredients and stir the egg mixture into the flour mixture, making sure the dry ingredients are evenly coated. Drain the raisins and stir them in. Scoop the muffin mixture into the prepared muffin tin, dividing it evenly. Bake in the preheated oven until the muffins are completely cooked through and a toothpick comes out clean, about 25 minutes. Remove from the oven and cool in the pan for 5 minutes, then remove the muffins and finish cooling on a wire rack. Oh yum! I love Morning Glory Muffins and these sound just delectable and full of so much good stuff and wonderful flavors. Thanks for linking to my zucchini frittata recipe. 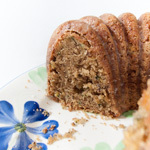 You can never have too many zucchini recipes in your repertoire. Can’t wait to try these muffins. Delicious! We quadrupled the recipe because we thought it only made a dozen and it made over a hundred!! Muffins for everyone!! Hi Diane, glad you liked the muffins. Yes, this recipe makes large muffins, so you can certainly get more if you make them smaller.